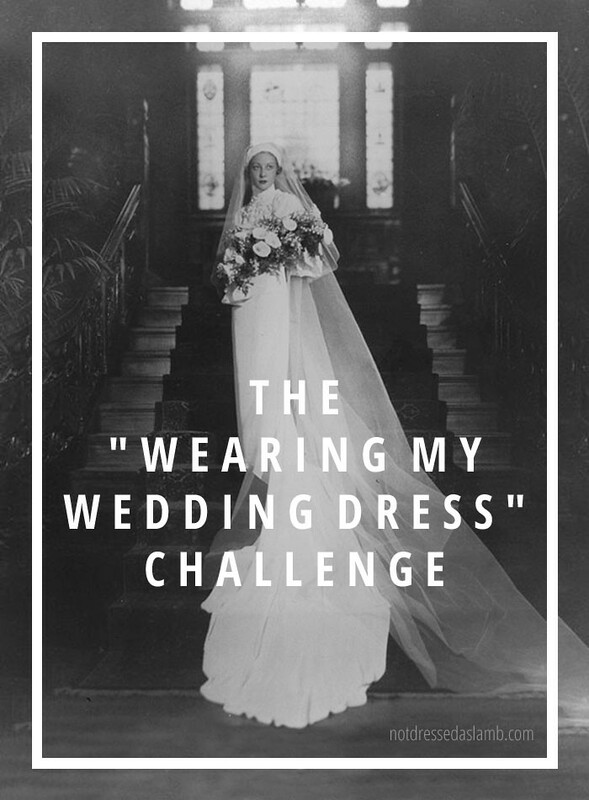 The “Wearing My Wedding Dress” Challenge | Are You In? It came to me whilst watching yet another episode of Say Yes to the Dress. I’ll admit I am totally and utterly addicted to that show – I could watch 10 episodes in a row and not get bored. For someone who didn’t dream of her wedding since she was a little girl (as the show leads us to believe most girls do) and who didn’t actually wear a dress on her wedding day (I wore trousers), I have no idea why I love watching it so much. I’m fascinated by the insistence of so many mothers that their daughters choose something they won’t look back on and wonder What was I thinking…??!! Why? It’s your wedding day. I say go all out, and forget thinking about how it will look in the future. Just enjoy the moment. Furthermore, I love looking at people’s wedding albums. For me, the more “of its time” and over the top the dress, the better. Give me a 1970s monstrosity over a tasteful 90s column dress any day. 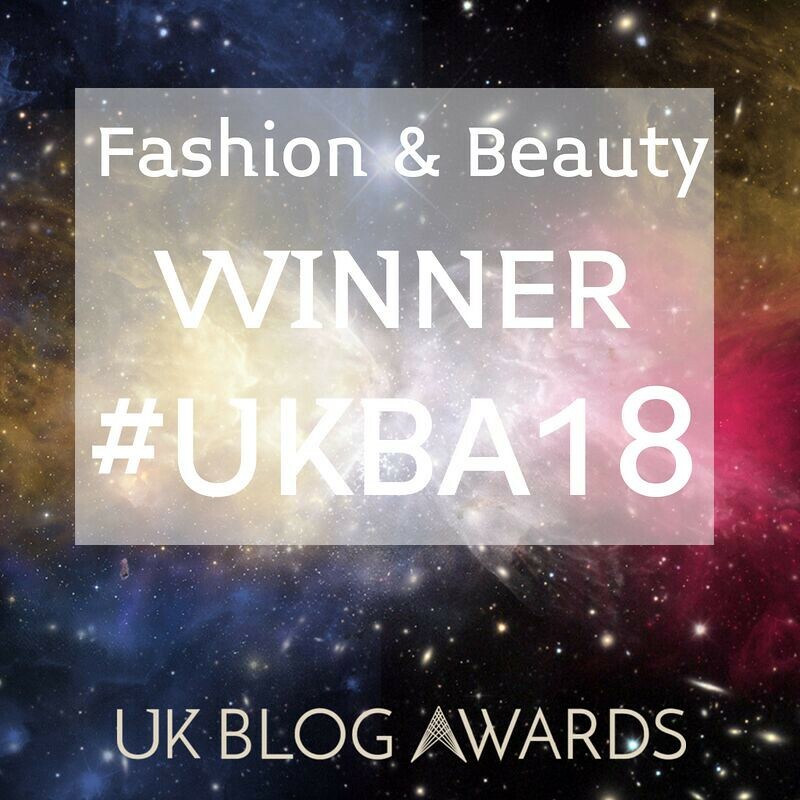 Watching the show one day it occurred to me: The photos of our wedding dresses should be shared amongst our community of bloggers and Instagrammers and Facebookers for us all to look at and enjoy… shouldn’t they? Who doesn’t love looking at the wedding album of someone they know? But then I thought, what would everyone look like in their wedding dresses now? How many people could still fit in them (if not, who cares) – and would they still like them? So I have a challenge for you: Try on your wedding dress – when was the last time you did? – and see if you still like it. Don’t get hung up on whether it fits or not – just enjoy the moment. If, like me, you wore something other than a dress, then try on whatever you wore on your wedding day. PHOTOGRAPH YOURSELF IN YOUR WEDDING DRESS BEFORE 9TH NOVEMBER. 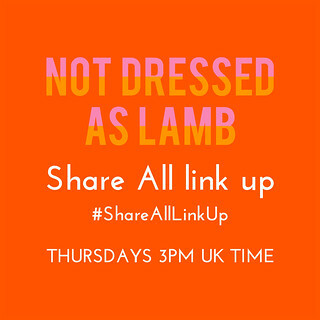 ADD IT TO MY #IWILLWEARWHATILIKE LINK UP ON THAT DATE. THIS IS PURELY A BIT OF FUN! You might want to do a full-on blog post, you might just want to do a quick selfie and put it on Instagram or Facebook – but show us your wedding dress, no matter what state it’s in. My mother gave hers to my sisters for their dressing up box: It got cut up and dyed blue (they’re much older than me so I missed out on the fun)… the thought fills me with horror (would anyone do that today?)! But if you have yours still but something similar “happened” to it, I still want to see it now, exactly as it is. Maybe your daughter had it refashioned and wore it herself like on Something Borrowed, Something New (yes, I watch that too. And I Found the Gown. I need help). 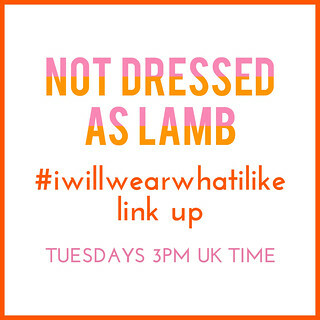 I’m going to let my #iwillwearwhatilike link up be overtaken on Monday 9th November by wedding dresses. Seems a while away I know, but I’m going to give everyone plenty of time to find/get hold of their dress, photograph it and get a post up on their blog or social media. No problem – I’m including bridesmaid dresses! When I was about 27 I tried on the bridesmaid dress I wore to my sister’s 1985 wedding (I was 13) and it was hilarious. The zip didn’t even slightly do up at the back. The fabric was horrible. The style was horrible. (And that’s just what my sister had to say about it.) Bridesmaid dresses are perfectly acceptable and could be just as interesting [read: funny], if not more so. If you really, really can’t bear the thought of putting on your dress again (for whatever reason), or you perhaps sold your dress or gave it away, simply share a photo of you on your wedding day. Or do both! Show us a before and after. Do it however you want – just share some pictures of your wedding dresses and/or bridesmaid dresses (but do wear them to photograph if you can). 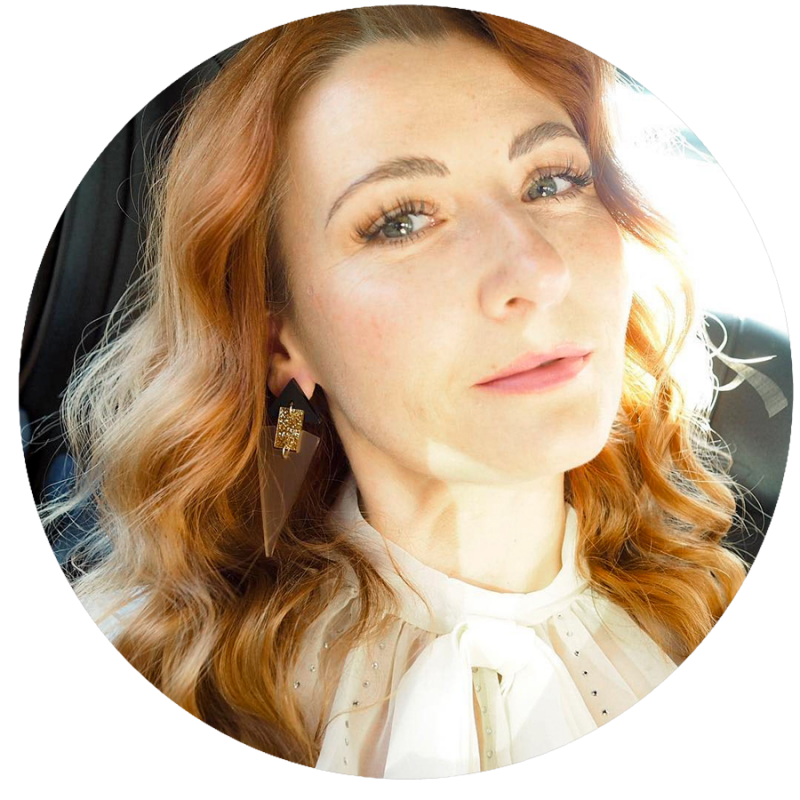 So tell me your thoughts – are you in? I just want this to be a bit of fun – if enough people take part I’ll do a round up post with the best ones! P.S. To whet your appetite in the meantime you might like Why Short Wedding Dresses Are So Stylish & Affordable! This is such a fun idea, Catherine! I'm not yet married (as you know) but (you may not know) that I'm looking into getting married soon. Very soon, actually, before Christmas or a little after. So, no wedding dress entry for me, although I have lots of bridal shoots pics of me which are actually quite fun to look at. But, funny you should mention bridesmaid dresses. I was a bridesmaid at my sister's wedding in 1995 and my dress was ATROCIOUS! I think you'd laugh too, to be honest, ha ha! This is a wonderful idea, I like it so much!Thank you so much blogger.. I love this idea, for our 10th wedding anniversary we went to Vienna with our daughter and both I and my Hubby put on our wedding outfits, I dressed my daughter up lovely and white and got us flowers. We went for dinner like this and everyone in the restaurant thought we had just gotten married – this was lots of fun! This is a cool idea Catherine! My husband and I have actually married each other twice….long story…the dress from the first go 'round is sadly no more, but the second time I wore a skirt, tank, and Haivianas on a beach with our son as our witness. I've worn all 3 of those items many times, so I'm in! I just got married in March and wore my moms wedding dress which I then sealed away so maybe someday one of my kids will be able to wear it (or at least try it on). I love this idea though! And I'll definitely post a picture from my wedding day since I don't think there will be much difference from March-now! Great idea! I still fit into it, and would love to show it off. I put on my prom dress when my youngest went to her senior prom, and it is one of my favorite photos. Unfortunately I don't think either one of my daughters will want to wear my wedding dress, it was a very simple Laura Ashley style from the early 90s. Maybe I will save it for granddaughters. lol! Great idea, I'll have to come back and nosy at them all. Mine's in the roof (2 sizes bigger now so no chance of getting in it) and not accessible without the OH who won't get it down. Love this idea! I can't wait to participate. You will also help me solve a great mystery. You see I had my wedding dress "preserved" (whatever that means) and part of the rules are you aren't supposed to open the box and let air in or something….So for 20 years every time I've looked at the box I've wondered if the whole dress made it inside. You see, the dress could be worn two ways – as a straight sheath or as a full gown via a full wrap around detachable train (oh how I loved that!). I always thought the box looked too small to have everything enclosed even though the dry cleaner swore it was all in there. I'm going to be just sick if the train is missing…wish me luck!! Hilarious! Mine is VERY much of it's time!! Plus I was overweight, with a perm!! It is so not a good look! Last time I tried it on it didn't fit. It appears that when I had it specially cleaned, they shrunk it! It's currently in a box in the garage! Not sure if I want to put it on again!! Hmmm have to think about this! I love the idea 🙂 I bought mine last minute from Ralph Lauren evening collection, I had to have it shipped from the states and had no plan B is the dress didn't fit 🙂 I've always promised myself I would wear it in the evening for some glam occasion yet that occasion never came up. I hope I can still squeeze myself in it! I'd love to try mine on again but it's across the pond at my Mum and Dad's in Bury! Maybe in Feb! Sounds like such a fun idea! I donated my dress and everything else after I got married. I hoped that it went to another happy bride. Can't wait to see what everyone comes up with! This could be freaking hilarious or freakishly scary!!! I have worn my prom dress…even blogged about it…but my wedding dress might be going just too far for me. How could I love my prom dress so much still and yet not love my wedding dress?? It is like two different women choose these dresses. Now I'm definitely tempted!! I'm married for a little more than a year but I made sure that my dress can be worn again (it's convertible)!! You give me enough time to think about it…or else I'll share my day-after photo shoot! What a fun idea! Sadly I borrowed my sister's graduation dress 24 years ago when we eloped. I do however have the dress I wore to our reception and another full-on fluffy wedding dress I bought for marketing my scrapbooking company about 10 years later, both of which I can fit into and would have a fun time photographing…that is, if I have the guts to get out there with a full on wedding dress and take photos of myself! Ha! AAARRRGGGGHHHH!!!! That just about covers how excited I am at the idea of wearing my wedding dress again. We've only been married 4 years (5 in April), but I have gone through a huge transformation in that time. I was tiny when we got married, then I 'celebrated' a bit too much (for about two and a half years) which left me massively overweight and unhealthy. I then decided to get my generous backside in gear and do something about it – it's part of the reason I starting The Barefaced Chic. I have no idea how much weight I've lost (I don't believe in diets and weighing every week, etc), but I do know I feel sooooo much better. Thanks once again for a brilliant link up idea. I bought my dress from Ebay and sold it again promptly afterwards….there was only my hubby and I and our 2 witnesses. I do still have the dress I wore to our wee party afterwards (it was Hogmanay) and I actually used the satin obi recently on an all-white outfit. Oh, this is a wonderful idea, I like it so much! I don't know when I have worn my wedding dress the last time – I know only my wedding dress is 25 years old and is a white silky traditional Bavarian costume 🙂 Looking forward to see more! Wow, that sounds amazing Rena. I want to see that dress! Hubby and I are intending to have ourselves another wedding day though… in a couple of years or so, to renew our vows and then I'll have my own dress! I can't wait. Just need to save up some money lol!